New Year’s Eve is often one of the biggest nights of the year! It is a night when we reflect on the year past and look forward to the exciting year ahead! So how can you prepare for a night to remember? We travelled the globe to talk to some of the world’s leading bar staff to find out how they ensure New Year’s Eve finishes off the year with a bang! On NYE, you have your regular crowd, but you also find a lot of people that venture out for the evening that normally wouldn’t be out in the city. I get a real kick out of these people, because everything is a relatively new experience and you have the ability to really shine. Champagne flutes – you can never have too many! Remember: we are here to serve the guest, try not get too carried away with enjoying the party. Saying that, it is important to be part of the fun, just find that balance. Top tip: Lastly, don’t work New Year’s Day - we deserve a time to celebrate as well! Lemon thyme tincture in a spray bottle. In a tin shake the JOHNNIE WALKER BLACK LABEL, apple liqueur, lemon juice, sugar and bitters. Spray a chilled coupe glass with lemon thyme tincture and add champagne to the glass. Double strain the rest into the glass. 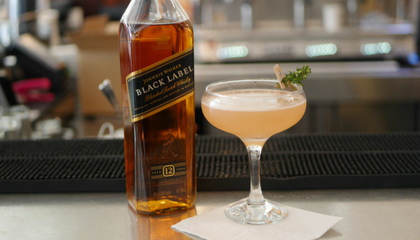 Garnish with fresh lemon thyme pegged to the rim of the glass. NYE is always more busy and you finish later than usual but in my eyes it has a more relaxed atmosphere... and often unusual things happen! Be ready and make sure you prepare everything thoroughly. Ensure you have enough product and glassware and try to adapt the sequence of service to run faster. Make it a memorable night for your customers! Remember part of your job as a bartender is to entertain. Shake all ingredients and pour into champagne glass. Top with sparkling wine and lemon twist to garnish. NYE is a great night to work, people are there for a good time (if they like it or not), they are open to suggestions and they are definitely ready to try new things! People will be interested in any additional drinks you may have so it’s a good time to have a few suggestions on hand. Eat a good lunch, and celebrate the last bit of the year before you head into service. Have an espresso and lock yourself in for a busy night. Be realistic about how busy it will/won’t be, there is nothing more demoralising to a staff member than working NYE when they didn’t really need to. Abundance is the key to the bar setup, a lot of everything, make your bar look abundant. Top tip: As hospitality professionals, we are all aware that NYE really starts after everyone else has gone home. Your turn at the revelry will come, so just be professional for the night and you will probably enjoy it more. I always liked working NYE. Some of my most unusual NYE’s have been special events on yachts. One year I was flown to St Barths to make drinks for the rich and famous. It’s also an occasion where I have seen many wedding proposals at the stroke of midnight! First you prep, then you prep some more. Make sure there’s food for the staff if it’s an all-nighter. We tend to create a shorter cocktail list to improve speed and efficiency. Make sure you are well rested and drink plenty of water throughout the night. Top tip: We had a ‘day after’ team so after the shift the staff didn’t need to restock clean etc. 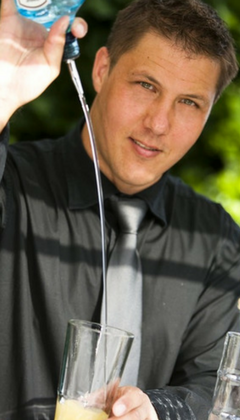 Shake ingredients without the sparkling wine and strain into a flute glass. Layer the sparkling wine on top. Add a pinch of freshly ground black pepper on top of the drink and garnish with the raspberries. 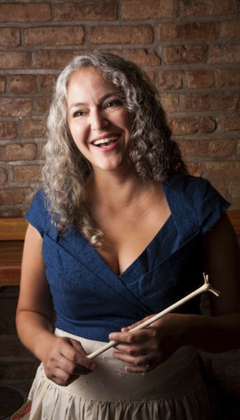 Lynette Marrero, leading New York bartender, works at Llama Inn Brooklyn. NYE differs from other holidays for several reasons. Firstly, it is an occasion holiday, it is a night of grand celebration. 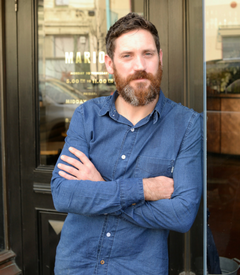 It can also be a very different experience because many bars close down for special events. It is going to be a later shift, it will start later, and you will leave later. Come in well rested and eat a good meal beforehand. Make sure your drink specials are manageable, you have plenty of sparkling wine and champagne chilled, and you have a nice moment with the team to talk over service for the evening. 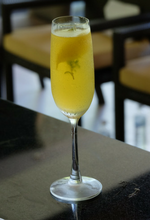 Set up a well-rounded menu of fun champagne cocktails, it will help you plan for the evening and give your customers a focus. Top tip: Wait to celebrate with your team after the bar closes, but it is important to remember to always drink responsibly. New Year’s Day is the best day for the service industry to get a proper rest! Combine ZACAPA XO RUM, orange liqueur, Angostura bitters, Peychaud bitters and orange bitters in cocktail shaker. Strain contents into cocktail glass. 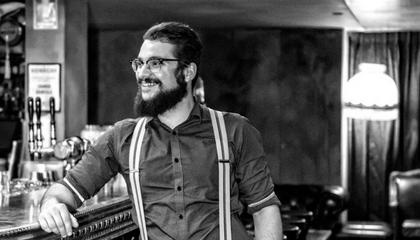 Whether you work behind the bar or serve tables, upselling is an essential skill for everyone. SMIRNOFF have created new recipes to give your Moscow Mules a ‘merry twist’ this festive season. Muddling is an essential technique to release flavour and aromas from your ingredients. Tweet us at @diageobarac, on Instagram @diageobarac or like us on Facebook – we love to see your creations! 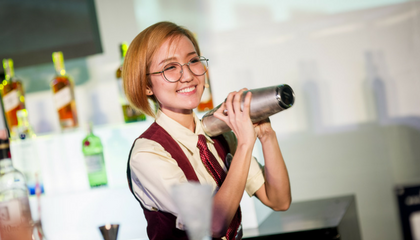 Sign up and become a member of Diageo Bar Academy today and opt in to receive our newsletter to unlock the latest industry news, trends and tips to keep your bar knowledge up to speed!